SDS has been named Small to Medium Sized Business of the Year in the Lloyds Bank National Business Awards, highlighting the company’s industry leadership, innovation and outstanding business performance. 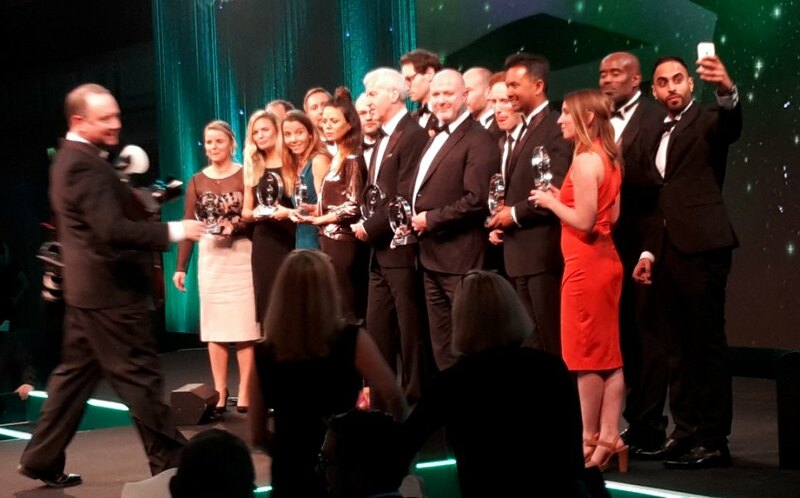 SDS’s Managing Director Patrick Cullen accepted the award from BBC TV’s Naga Munchetty at a prestigious ceremony held at London’s Grosvenor House Hotel on Tuesday evening (14th November), headlined by Sir Mo Farah. The SME award, which received a record number of entries this year, recognises the outstanding business growth that has established SDS as a UK leader in sustainable drainage and stormwater treatment systems. The judges paid tribute to SDS’s innovation and commitment to developing more sustainable approaches to reliable water management. An extremely proud Managing Director, Patrick Cullen, said: “We are delighted to be recognised with this award which above all reflects the hard work of a successful business team. Winning this award for the area where we are based in Biddisham, Somerset, I believe will also mean a lot to the whole area as well as to everyone who works for us.